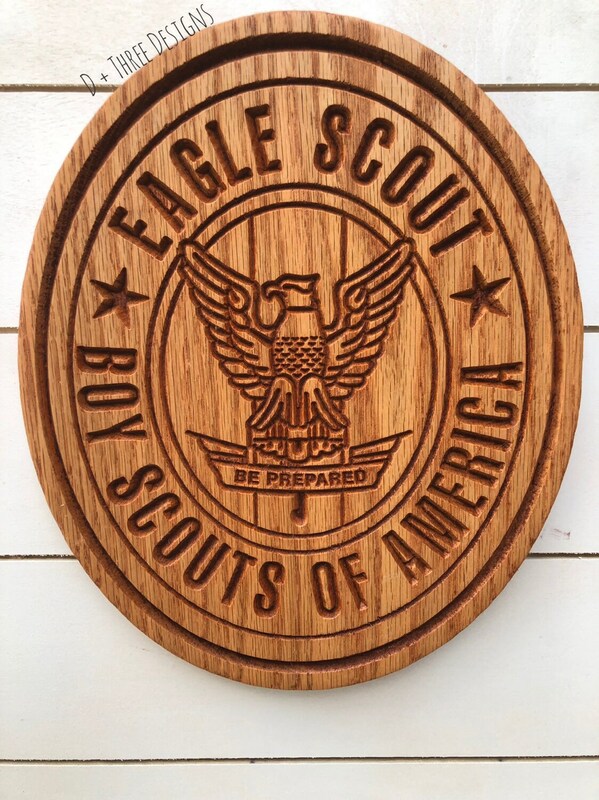 This wooden Boy Scout Eagle Plaque is a great way to show of your accomplishment! 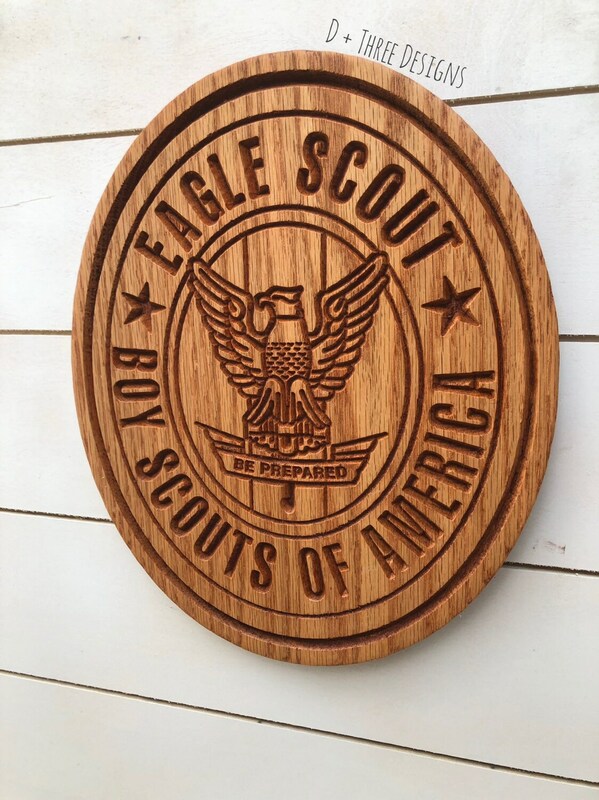 The Eagle Scout wooden plaque is made of 1” oak wood. 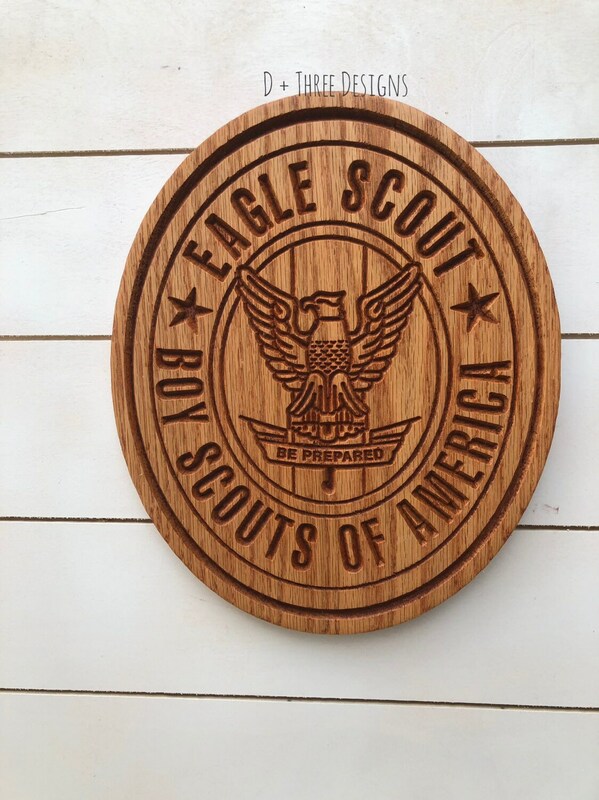 The Eagle Scout plaque is around 12” tall and comes with a metal hanger on the back. 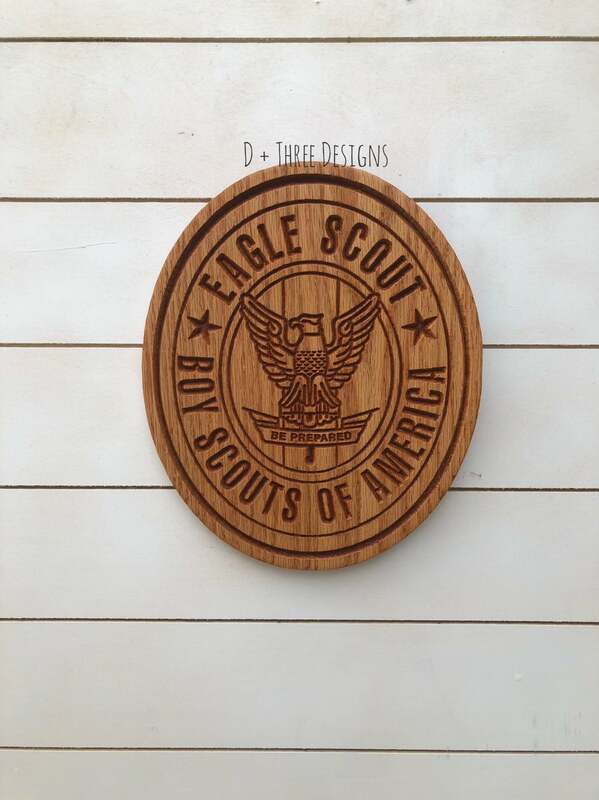 We can make any Boy Scout badge just send us a message. 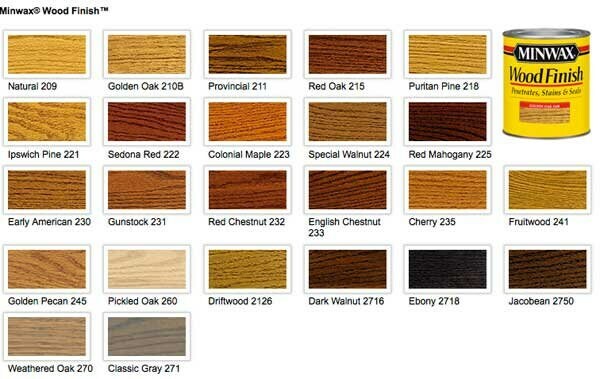 The stain color in the Eagle Scout badge pictured is gunstock. 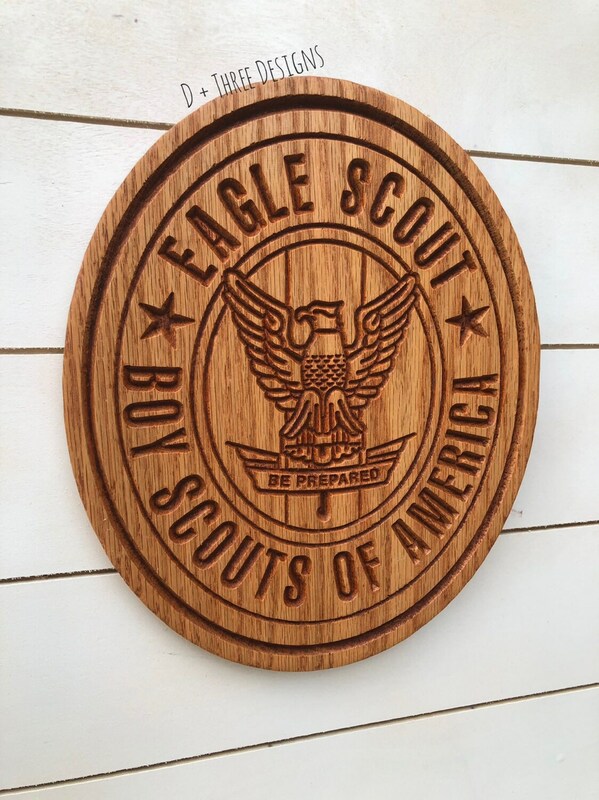 Put the color you would like your eagle scout badge stained in the notes to seller box at check out. Please allow 1-2 weeks for us to make and ship out your order!